In a little-known suburb of Kings Langley, I found a unique combination of Indian curries and Italian pizza that made me wonder why no one has thought of this concept before or maybe I have not come across one. 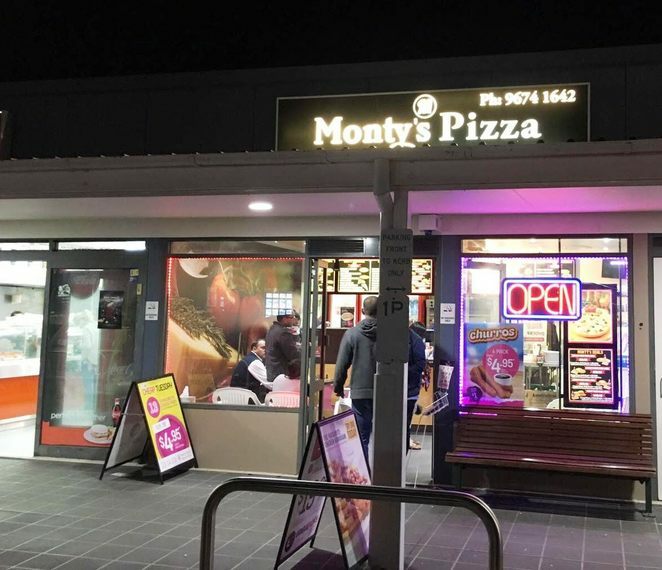 Monty's Pizza is a humble pizza shop from the outside serving some delicious pizza with toppings and combinations unlike what you'd find elsewhere. As we walked into the shop, Monty greeted us with a warm smile and welcomed us to his pizza abode. Seeing the amazed (read confused) look on our faces. he offered us some help in choosing a pizza. He recommended a half and half so we get to taste multiple flavours and explained to us the ingredients that go behind some of his recipes. What caught our eye instantly was the flavours in the Indian pizza section which included ones like Butter chicken pizza, Chilli chicken pizza, Tandoori mushroom pizza and the Gobi Manchurian pizza. The chicken/vegetables are soaked and coated in a marinade of elaborate spices of Indian flavours that impart the beautiful curry taste to them. 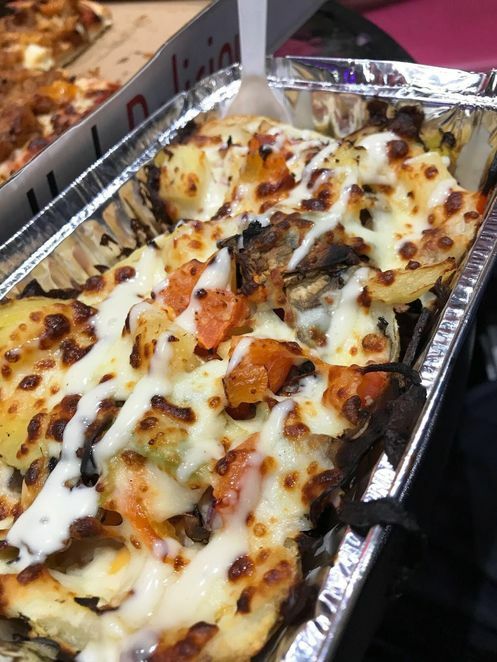 They are then topped on the pizza with cheese and cooked to perfection. The pizzas come in multiple sizes (5,9, 12 or 15 inches) and bases like thin and crispy, deep pan, perfecto or even gluten free. 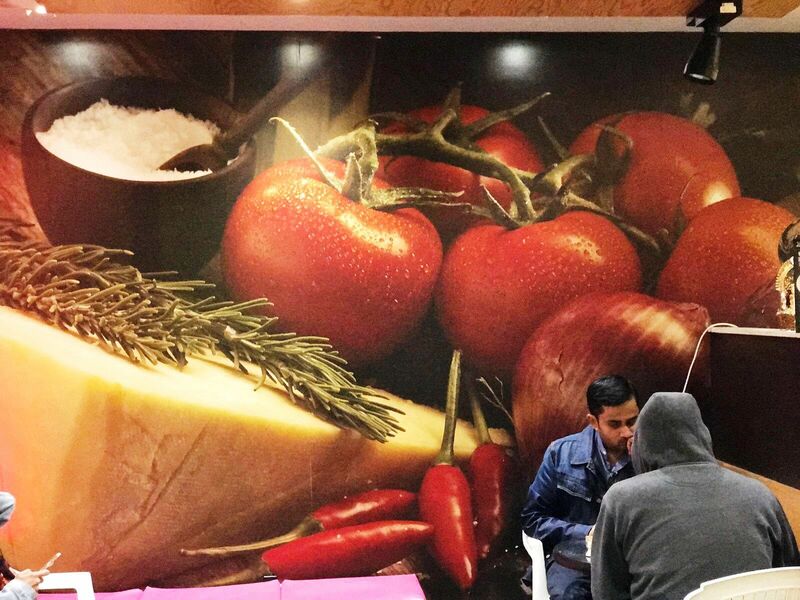 As we sat and enjoyed a quick game of chess at the corner of the shop, our pizza was getting prepared. I did note that the phone orders kept pouring in constantly and Monty patiently explained the options he has on the menu and helped his customers place an order. When he caught a quick break, we chatted more to Monty about his business model and how he offers so many pizza varieties to his customers. Monty reckons that the Indian pizzas on his menu have gained a lot of popularity recently, making the Butter chicken, Tandoori vegetables and Gobi manchurian (cauliflower in Asian spices) pizza some of his best sellers. When our pizza arrived, we knew exactly why Monty's pizza has had this surge in sales. 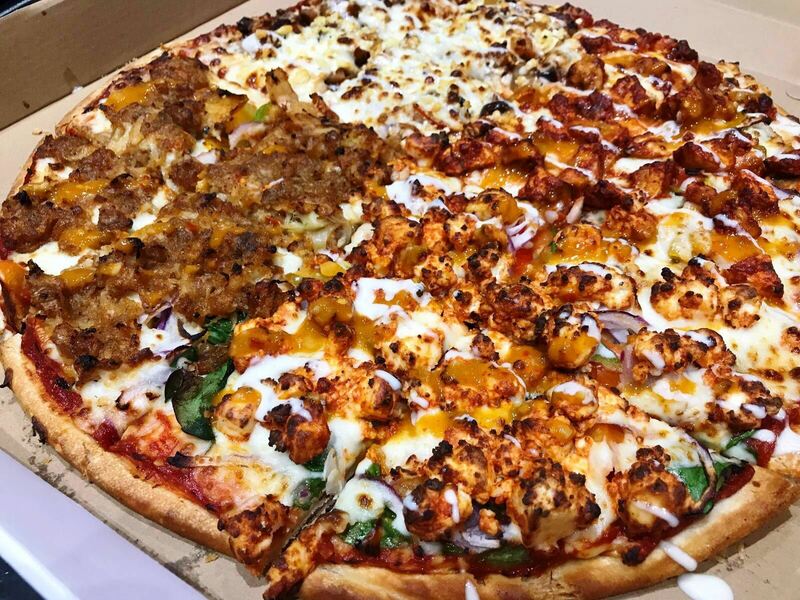 The Indian curries in their perfect marinade are such a unique pizza topping that we were amazed at the outcome. I would highly recommend the tandoori vegetables and tandoori mushroom pizza. It was perfectly cooked and very satisfying. Monty's Pizza does deliver in the area too, so next time you can't decide between Indian and Italian pizza, try Monty's. They do have 8 points from my side for innovation and I'd throw in 2 extra for good execution. Well done on your 250th Milestone, Priyanka!